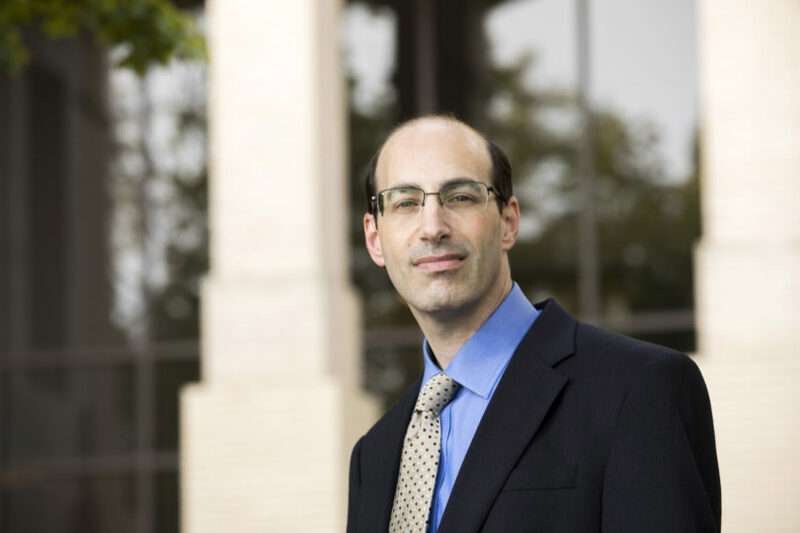 Jeffrey Dorfman, a professor in the College of Agricultural and Environmental Sciences, uses his research to illuminate issues and to spark discussion on current economic policy topics. I earned my bachelor’s and Ph.D. degrees at the University of California, Davis. My current responsibilities involve teaching classes on economic theory and on the economics of the food industry and doing research on a wide range of economic topics. For example, I am currently working on projects related to the Supplemental Nutrition Assistance Program (better known as SNAP), constructing better farm financial data, and what people might pay to have better information about food safety for products we buy at the supermarket. I have been at UGA since 1989. This is the only real job I have ever had. I came here because UGA offered me a job and Athens seemed like a great place to live. My favorite class to teach is the economics and management of the food industry. We cover everything from food processing to food retailing to restaurants. Anything between the farm and your mouth, we study. I enjoyed my year as chair of the University Council Executive Committee, which included leading the processional at Commencement ceremonies. Five years ago, I was elected Fellow in the Agricultural and Applied Economics Association, a sort of lifetime achievement award. And, one home football game, I served as guest coach, participating in all pregame activities with the team and then spending the game on the sideline doing absolutely no coaching at all. By estimating the quantitative impacts of different public policies, I hope my research serves to inform policymakers, allowing them to improve policies over time. I also write opinion columns, which let me reach a much larger audience. Members of Congress have contacted me, so at least once in a while people listen. My research often gives me examples to discuss in class. 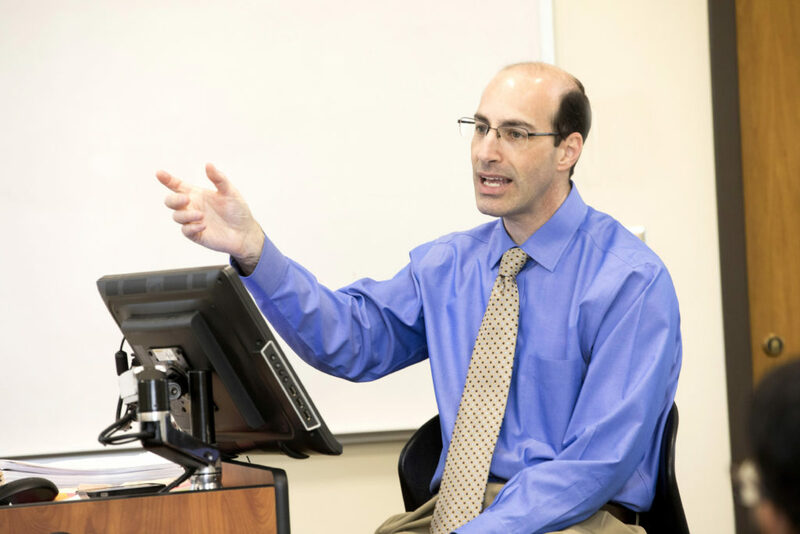 I use my research to illuminate issues and to spark discussion on current economic policy topics. My goal is to teach my students how to think like economists. If they can learn to apply that method of approaching problems to identify what they are trying to optimize and find the key tradeoff that characterizes the solution to the problem, I will be quite happy. The ideal student is more interested in learning than grades, studies regularly, participates in class discussions and corrects me when I’m wrong. I enjoy attending UGA sporting events, trying to attend a wide variety of sports. I like the Einstein Bros. Bagels in the new Science Learning Center, which gives me a pleasant 10-minute walk each way through South Campus. Read books, exercise and occasionally cook and bake. I serve as treasurer of Alps Road Presbyterian Church (near Beechwood) and support the Northeast Georgia Food Bank. I read (and reread) lots of books and choosing a favorite would be tough, but I usually read a mix of academic books and spy/mystery thrillers. My favorite movie is probably “The Sting.” When choosing books and movies I either want to be learning something or have fun relaxing. My daughter and I hung out with Uga in his Georgia Center hotel suite before a football game. You cannot get a more UGA experience than that!